Corfu is an island with so much variety. We have a choice of beautiful houses to visit. With its great beaches and fabulous restaurants, fans of Corfu come back & back. Scott Williams have discovered some real gems on Corfu. The island boasts clear water, blue skies and so much to do. Often families take two separate villas, doing their own thing by day and meeting up for fun in the evening at one of many of the wonderful local tavernas which boast fabulous food. Forget the soggy moussakas of the 1970s, today’s visitor can sample fantastic food. With delicious traditional cooking and other more contemporary dishes, the choice is out of this world. Corfiots are proud of their wonderful ingredients and delicious food. For the culture vulture Corfu Town has some excellent museums and galleries as well as Heritage Sites, Orthodox churches and sophisticated shops. Expect to have to book at the best restaurants and tavernas, the choice is wonderful and quite unlike a lot of other parts of Greece. We hold an extensive list. Dine on prawn saganaki which is prawns in a creamy tomato sauce made with garlic and feta. Also sample the local stifado - a meaty stew with beef and baby shallots. Greek wine can be quite hit and miss but Boutari is a good everyday wine. The spirits are definitely worth a try, ouzo being the most famous. There’s a great golf club in the Ropa Valley, recently renovated, this is where anyone who’s anyone can be found, doing a round. There’s a really good choice of waterskiing in this part of the island. You can email them from the UK and book your slot. Windsurfing and sailing are taught on Avlaki. There is also the usual banana boats, inflatable "beds", parakiting and windsurfing. There is horse riding on Avlaki beach. Kassiopi has 2 tennis courts which can be booked. The tavernas on the waterfront are fabulous by night - sample typical Greek food at any one of the lovely restaurants in San Stefano (we have our favourites of course!) finishing off your night with moonlit Mojitos at the cocktail bar there. 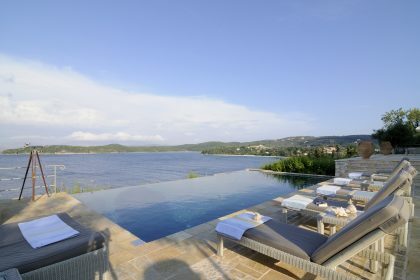 The teenagers will be in heaven as they dance until dawn in Kassiopi and younger children will love the swimming in secret coves, the beaches and the beautiful swimming pools that all our villas have. Take a boat from San Stefano to Agni Taverna a little south and sample some of the island’s very best food, the boat will also bring you back at the end of your evening. Beautiful old belfries, winding village streets, loaded-up donkeys, large country houses in lush olive groves, tiny chapels with a solitary candle burning inside - all this is still there. There are cosmopolitan classical concerts, opera and theatre. Culture vultures who enjoy the sun - a surprising amount of history and museums, as well as concert and theatre performances. ...walking - with long trails all over the island, any walker is treated to beautiful views over to Albania and cool walking through ancient olive groves. ...teenagers who are itching to see other teenagers - Kassiopi is heaven at night for the teen crowd. Parents can rest assured that the scene is tried and tested by many like-minded folk. They can assign a taxi driver at the beginning of the week who will get the children home at a designated time. 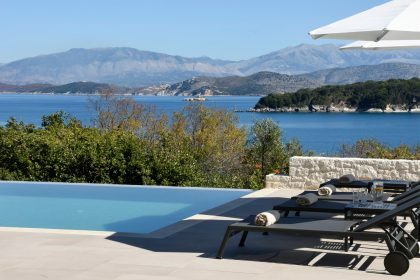 Known locally as 'Kensington-on-Sea' Corfu attracts a smart set. 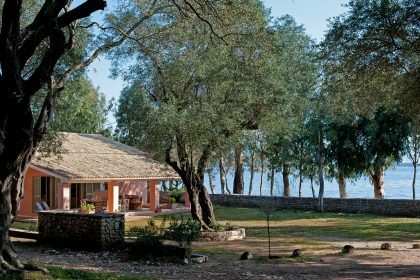 Historically Gerald Durrell lived here briefly, Elizabeth Taylor loved the island as well as Winston Churchill in his time. 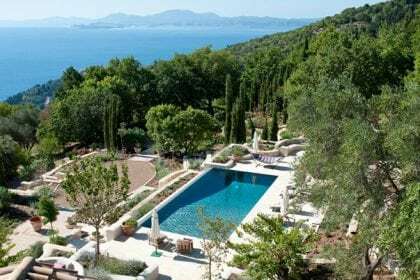 Jacob Rothschild has a house here and the Greek royal family love to spend their summers on the island.